The Arunachal Pradesh State Cabinet on Tuesday approved the grant of Tough Location Allowance (TLA) for regular employees of the state government as per the recommendations of the 7th Central Pay Commission and also the hike in wages of contingency employees. 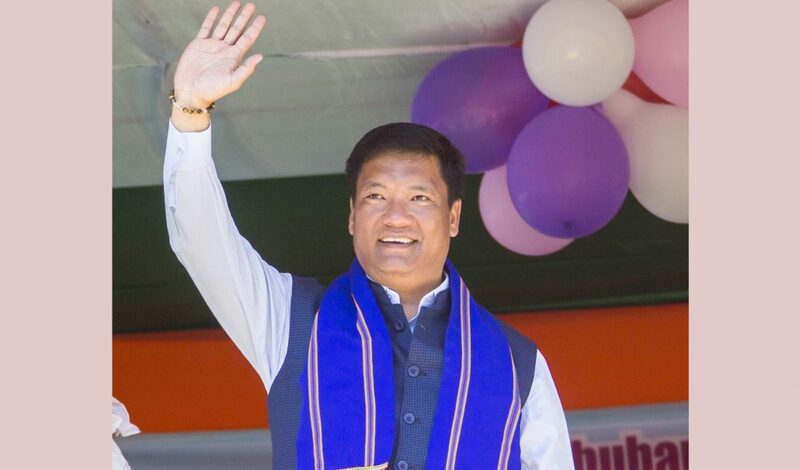 It may be mentioned that Arunachal Pradesh chief minister Pema Khandu made announcement in this regard earlier this month. Khandu while addressing public functions in various locations of the state had announced the perks as a New Year gift for the regular and contingency employees working under the state government. Earlier, Khandu had announced to grant TLA for regular employees in two levels – pay matrix level 9 and above – Rs. 5300 and Level 8 and below – Rs. 4100. He had also announced for enhancement of the minimum wages of skilled and unskilled contingency employees/casual workers employed under the Government of Arunachal Pradesh. The initial wages on a appointment of the Un-skilled Contingent employees/casual workers/daily labourers has been enhanced from Rs 8,000 to Rs 10,000 per month and from Rs 9,000 to Rs 11,000 per month for skilled contingent employees/casual workers/daily labourers. This in fact is a jump of 25 percent in case of un-skilled contingent employees and 22.22 percent in case of the skilled ones. Further, un-skilled contingency employees in the category of 5-10 years in service were getting fixed wages of Rs. 9,000 per month which has now been enhanced to Rs 11000 with a 22.22 percent hike. Similarly the skilled workers in the same category who were getting Rs 9500 will now be getting 12000 per month thus recording a 26.32 percent hike. The category of 10-15 years recorded 20 percent hike in their wages for unskilled and 19.23 percent hike in the skilled. For above 20 years of service, a quantum leap of 45.45 percent hike of wages is recorded for unskilled and 47.83 percent for the skilled.